This date one hundred years ago, 5 April 1918, under the auspices of the Cork Cumann na mBan Mr J J Walsh delivered an evening lecture entitled, “My Prison Experiences”, in Cork City Hall. There was a large audience and among those on the platform were – Lillie and Nora Connolly. 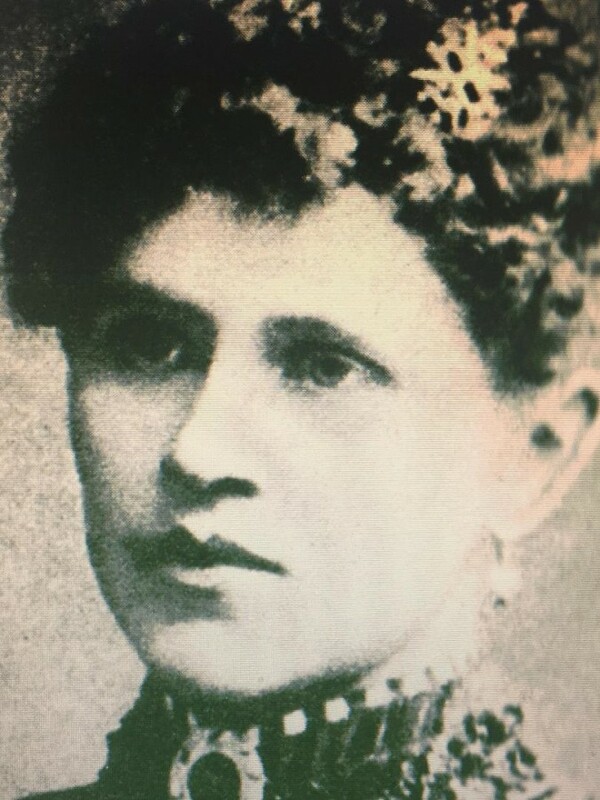 Wife of 1916 leader James, Lillie, after the Rising, made rare appearances in public. Her daughter Nora Connolly was active in the Belfast Cumann na mBan. Under her command, Nora and nine other members of the Belfast Cumann came to Dublin to take part in the 1916 Rising. During the evening of 5 April performances consisting of vocal items, four hand reels and recitations were made. Then Sir Donald O’Callaghan, who presided, introduced JJ Walsh, who appeared in prison garb. J J Walsh gave an outline of the events of Easter week 1916. He described the prison experiences of himself and others; “If we had continued in Portland for another twelve months scarcely one of us would be alive. The mental torture was fearful, and if it had not been for the splendidly equipped library at Portland, I did not think it possible for one to retain my mental balance. During the hunger strike at Mountjoy our sufferings were terrible”. James Joseph Walsh’s obituary in the Cork Examiner on 4 February 1948 highlights he was born on 20 February 1880 in the townland of Rathroon, three miles south of Bandon and about midway between the villages of Kilbrittain and Ballinadee, His descendants were farmers and occupied the same lands for several generations. There were ten in the family, five boys and five girls. Up to the age of fifteen J J Walsh walked three miles every day to Bandon National School. Later through open competitive examination he entered for the Post Office Service. At the same examination a candidate named Patrick O’Hegarty secured first place. 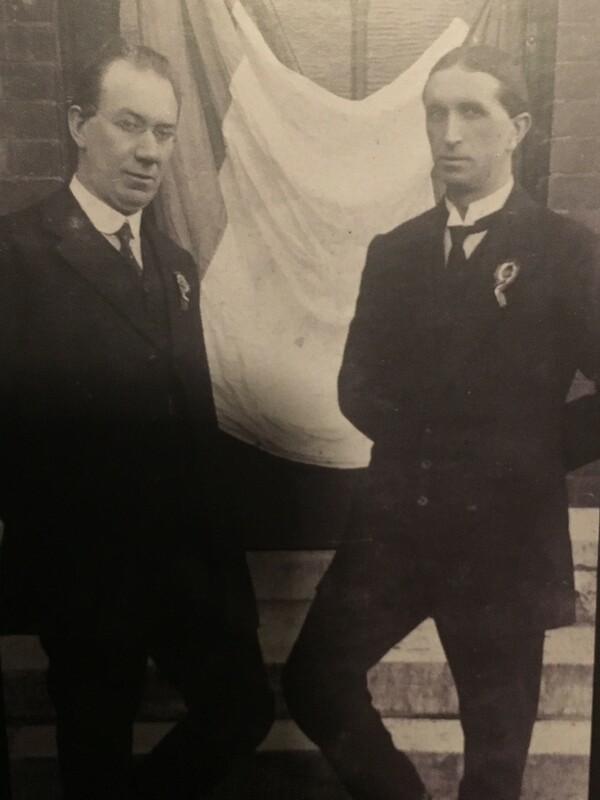 Years afterwards the two were destined to meet again, J J as first Postmaster General of the Irish Free State and Patrick O’Hegarty as Secretary of Post. James organised the Post Office sports meeting for the Cork International Exhibition of 1902-3. He took a great interest in the games of hurling and Gaelic football, and became a prominent member, and in a short time Chairman of the Cork County Board. Being a civil servant J J Walsh could take no overt part in the politics of the time of the first decade of the twentieth century. But when an official rule was relaxed, he and a few other interested civil servants were elected to Cork Corporation. As the industrial movement was non-political, he was able to join the Cork Association, and when the Irish Volunteers were formed he took a leading part in the new movement. After war was declared in 1914 disagreements arose amongst the volunteers as to the policy to be adopted, and there was a split. J J Walsh sided with the minority. J J was transferred from Cork Post Office to Bradford in Yorkshire. From there he wrote as a member of the Cork Corporation protesting against conferring the freedom of the city on the new Lord Lieutenant, Lord Wimborne. As a sequel to this, disciplinary action was taken. He departed from the Post Office Service. Under the Defence of the Realm regulations he was ordered to reside in County Down or Dublin City. He chose the latter and opened a tobacconist business in Blessington Street. J J Walsh’s shop became a rendezvous point for members of the American Alliance of the AOH, a body antagonistic to the Irish AOH, known as Board of Erin. There were not many members, but they agreed to form a volunteer body of their own. This appeared on proclamations issued by the Government around Easter Week as the Hibernian Rifles. J J was not in the inner circle of the Volunteer movement, but obviously was aware what was going on Easter Monday morning. He arrived at his shop in uniform and with a rifle. He went out to join the rising and was in the battalion, commanded by Oscar Traynor. The Volunteers were ordered to disperse and to re-assemble at 3pm. J J rounded up members of the American Alliance and mustered about thirty. That evening they entered the Post Office and were placed under the command of James Connolly. After the rising in Dublin J J Walsh was taken prisoner by the British authorities. Tried by courtmartial, he was sentenced to death but was reprieved. After terms of imprisonment and internment in England he was released in August 1917. He continued active in the political sphere. Following a speech delivered in County Cavan, he was arrested, and tried by courtmartial at Belfast. A sentence of five years’ penal servitude was imposed, but while awaiting deportation to England, J J Walsh and other prisoners went on hunger strike. It was Tomas Ashe died that he and others were released. At the 1918 General Elector, J J Walsh was elected as one of the two Members of Parliament for Cork City. Arrested in Cork in 1920, J J Walsh found himself in Parkhurst Prison with some other Corkmen, including Mr P O’Keeffe. There he remained until the Truce, when all the, Sinn Féin and Volunteer prisoners were released.